Houzz today released the results of its 2018 Kitchen Trends study, which revealed that homeowners are obsessed with clutter-free countertops (75 percent), ingenious storage options (66 percent) and easy recycling (49 percent). Sixty-three percent of homeowners said adequate storage was the most important feature in a kitchen, followed by the need for space to easily work, play and live (38 percent), entertain (32 percent) and clean (32 percent). In order to create the kitchen of their dreams, homeowners are spending up to $42,000 to install pull-out waste or recycling baskets (67 percent), cookie sheet/tray organizers (58 percent), revolving corner trays (44 percent), deep drawer organizers (42 percent) and pull- or swing-out trays and shelves (42 percent). 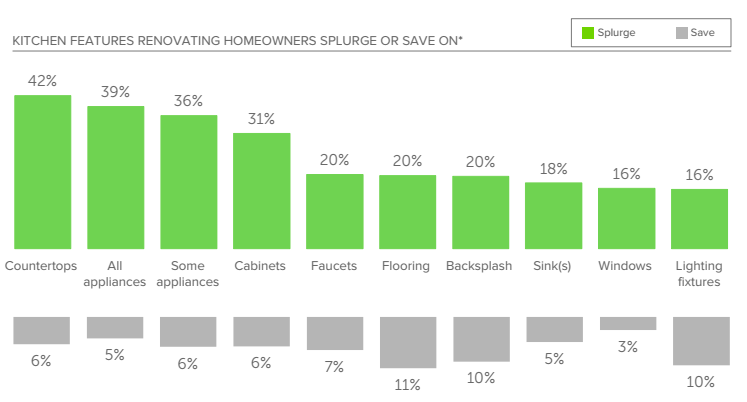 Homeowners are also paying quite a bit of attention to countertops, which is the most common upgrade (94 percent) and is often the item renovators are willing to spend a little extra cash on (42 percent). When it comes to the material homeowners are choosing for their new, shiny countertops, granite is falling out of favor with a consecutive three-year decline in popularity (45, 41 and 34 percent in 2016, 2017 and 2018 studies, respectively). 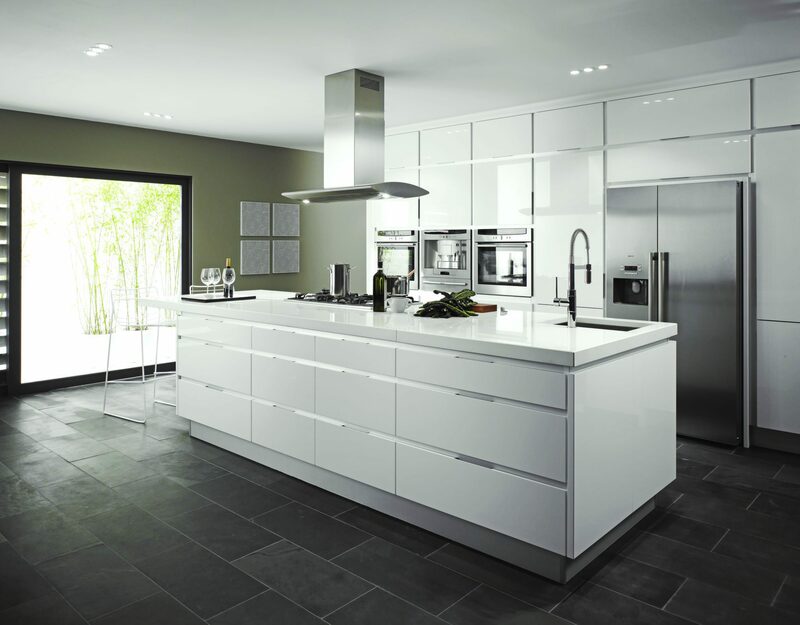 Now, homeowners, especially those in suburban and urban areas, are turning their attention to engineered quartz (43 percent). In the past year, 87 percent of homeowners decided to change their kitchen decor style, with transitional (25 percent) and contemporary (17 percent) styles leading in popularity among suburban and urban respondents. Moreover, 50 percent of remodelers adjusted their kitchen layout, with L-shape countertops (35 percent) outperforming the U-shape (26 percent). 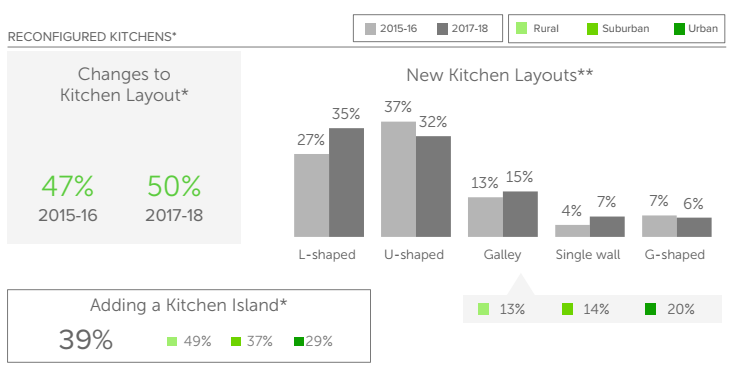 “Our annual kitchen trends surveys reveal that consumer preferences for products, design, and technology vary not only across urban, suburban, and rural areas, but also evolve over time,” said Houzz principal economist Nino Sitchinava in a statement. 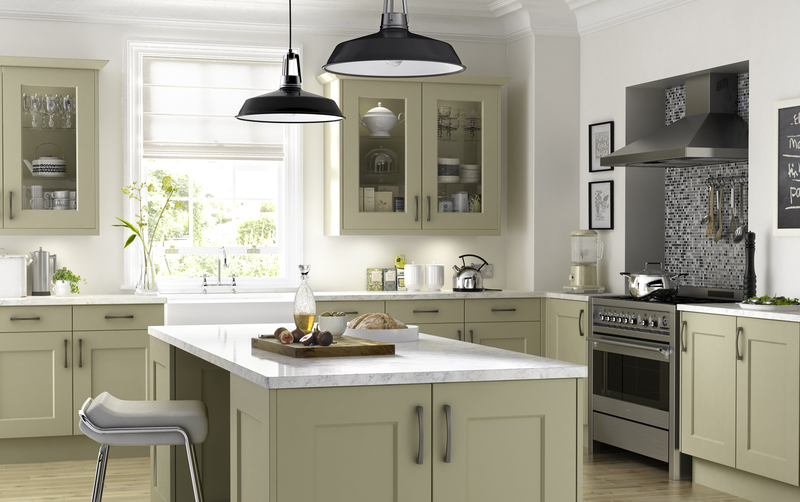 What else ruled kitchen trends? Bringing tech into the kitchen: The demand for TVs in the kitchen has fallen for the past three years (64 percent) since homeowners are gravitating toward home assistants such as Amazon Alexa and Google Home (22 percent) and wireless and voice-controlled kitchen appliances, which have been on the rise since 2016. 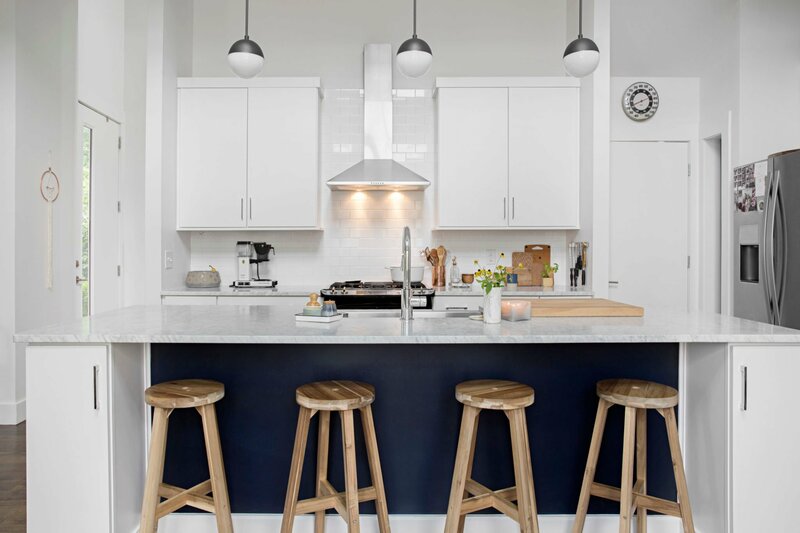 White kitchens continue to rule: White is the predominant color for backsplashes (36 percent), countertops (27 percent) and wall finishes (24 percent), with each feature growing in popularity six percentage points year-over-year. Ditching hardwood for engineered wood: For the 73 percent of homeowners updating their flooring, 53 percent chose hardwood or wood-like materials. Although hardwood was the most popular (29 percent), its popularity has been on a downward slope since 2016. Meanwhile, the popularity of wood-like flooring, such as engineered wood or laminate, is on the rise (19, 21 and 24 percent, respectively). 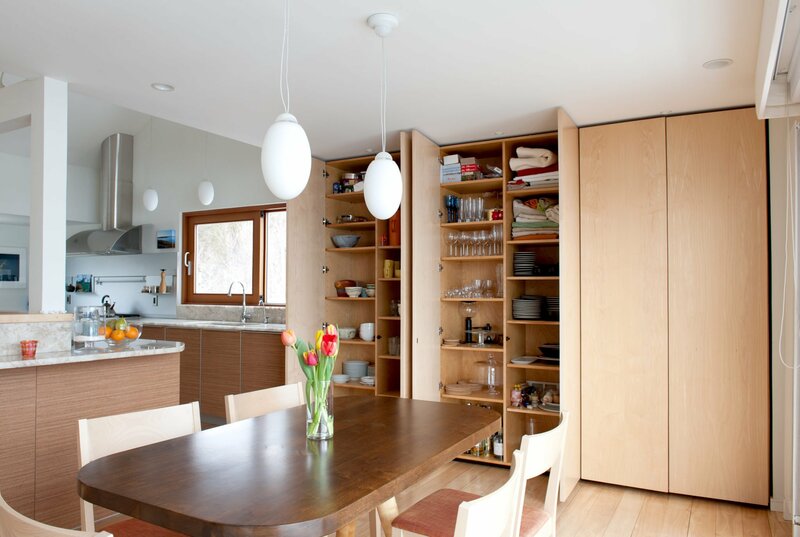 Shake it up: Fifty-seven percent of homeowners chose shaker-style cabinets, followed by flat-panel (18 percent) and raised-panel (17 percent) cabinets. The 56-question survey gathered information from Houzz users who reported to be 18 years old or older and homeowners. 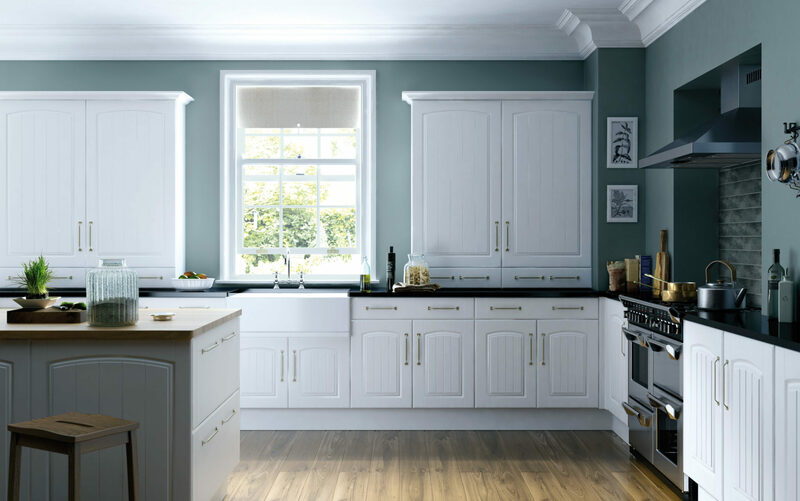 Additionally, respondents were required to have completed a kitchen remodel or addition project in the previous 12 months, to be currently working on one, or planning to start one in the next three months. The final sample consists of 1,734 respondents with a kitchen project. 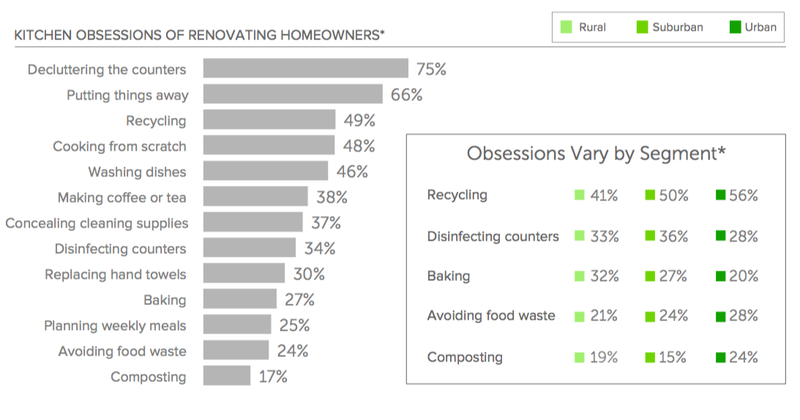 Additionally, in the instances of by-area reporting for kitchen projects, 309, 402, and 1,016 respondents fell in the urban, rural, and suburban segments, respectively.